Updates and Ruby’s at a discount– today only! Cheesing it up at the signing. This past month has been a whirlwind! I finished my summer class, went to New York to RWA, went to North Carolina for an event and attended the NBCC (National Book Club Conference) in Atlanta. In this past month, the long-awaited publication of A Virtuous Ruby, happened too! It’s been quite a summer. So I’ve complied a links post. Don’t worry. I’ll get back to the history in my next post. While I was at RWA, I was interviewed by NPR about Beverly Jenkins. It was heady stuff to hear my name (and goofy voice) on NPR! 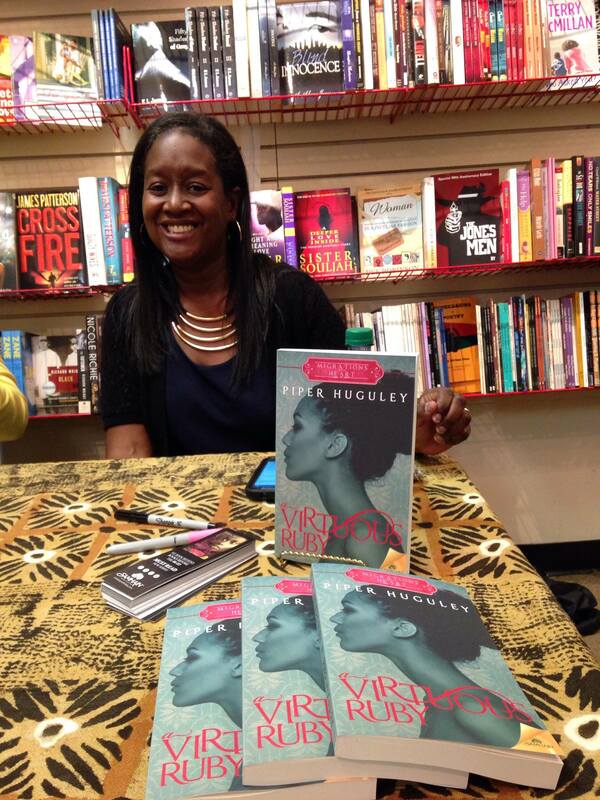 I signed books with the fabulous and gracious Beverly Jenkins (that’s where the pic is from)! And Ruby is here! For today only, August 9, Samhain is having a 40% of sale, so if you haven’t had the opportunity to ready this unusual love story before, you can get the e-book now a reduced price! It is only on the samhainpublishing.com website. You are really a good writer. I enjoy reading your books. Keep the good writing going. Thank you so much for the kind words oceanview03! I appreciate that!